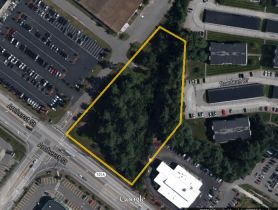 Nashua, NH November 11, 2015: Prolman Realty, Inc. is pleased to announce the sale of 339 Main Street to 339 Main Street Realty, LLC according to Mark Prolman who represented the seller, Dorothy Realty Trust and assisted the buyer. The property consists of seven residential apartments, 7garages and 2,000 square feet of office space. According to the Hillsborough County Registry of Deeds the selling price was $590,000.00. 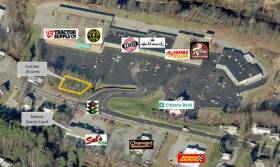 Conveniently located office/ industrial building off exit 7 in Nashua, NH. Unit is comprised of 3 Industrial condominium units situated within a 2-story building with mezzanine. The subject units consist of 1,527 +/- SF of finished mezzanine office space and 5,469 +/- SF of first floor warehouse/ production area for a total of 6,996 +/- SF of gross building area. Frontage is on both Charron Avenue and Bud Way. 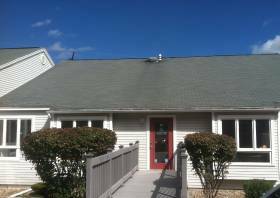 The building is surrounded by plenty of paved parking and mature landscaping. Call Mark for more info. 603-880-6655. 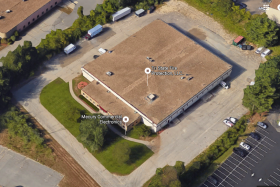 MANCHESTER, NH – April 3, 2014 – Cushman & Wakefield of New Hampshire (C&W NH) announced the sale of 26 Hampshire Drive in Hudson, New Hampshire to Tri State Fire Protection LLC. The C&W NH team of Thomas Farrelly, Denis Dancoes and Sue Ann Johnson represented the seller, Campanelli in a joint partnership with TriGate Capital. Mark Prolman of Prolman Realty represented the buyer. Steve Schlesinger and Mike O’Rourke, Managing members of Tri State, in a statement said they would be moving 93 employees to their new home in Hudson beginning in May, 2014. The acquisition of 26 Hampshire Drive is a significant part of their strategic growth initiative to expand their foot print and provide additional products and services to there ever expanding customer base. Tri State Fire Protection, a New Hampshire-based provider of fire protection and building security solutions, and one of the “Top Ten Companies to Watch” according to Business New Hampshire Magazine, will initially occupy half of 26 Hampshire Drive and lease the other half. Each side of the property is separately metered, giving the company significant flexibility to match its occupancy needs with the needs of its business. 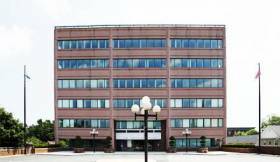 26 Hampshire Drive is a single-story, 31,053-square foot office/manufacturing facility located just over the Massachusetts border off Exit 2 of Route 3/F.E. Everett Turnpike in Hudson, New Hampshire. Situated on 3.14 acres in the Sagamore Industrial Park, the building was constructed in 1973. The building’s location, enhanced by the completion of Hampshire Drive connection to Lowell Road, provides easy highway and amenity access. 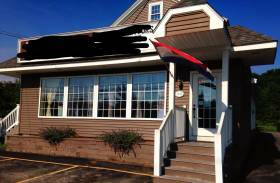 26 Hampshire Drive offers excellent access to Route 3/F.E. 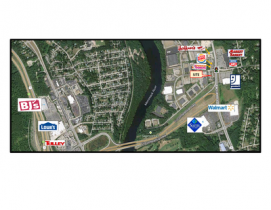 Everett Turnpike via Exits 1 and 2, and a wide variety of area amenities including the Spit Brook Road shopping area and the Pheasant Lane Mall.